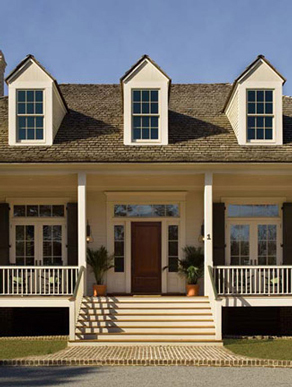 We are a full service architectural firm headquartered in the Lowcountry of South Carolina. Principal markets of the firm include custom homes, private clubhouses, and commercial offices for a wide variety of applications including fire station, police stations and public facilities of various types. Grady Woods Architects employs state of the art technology, enabling our firm to accommodate the most challenging assignments from office buildings, in addition to meticulously detailed private residences. Conversely we can easily address smaller scale projects, to which we give the same degree of attention to detail and oversight. The firm is noted for innovative design concepts backed by thoroughly produced construction documents. Perhaps the single most distinguishing characteristic of Grady Woods Architects is the fact that our practice is truly principal-led with Mr. Woods assuming hands on responsibility for every commission undertaken. We place the best interests of our clients ahead of virtually all other priorities as we develop our designs. And then carefully administer construction contracts to assist your contractor in delivering the best finished product we can. Integrity underscores our practice and all that we produce. It is for these important reasons that the greatest volume of our work stems from referrals offered by former clients. We would consider it a pleasure and honor to add you to our list of satisfied customers.